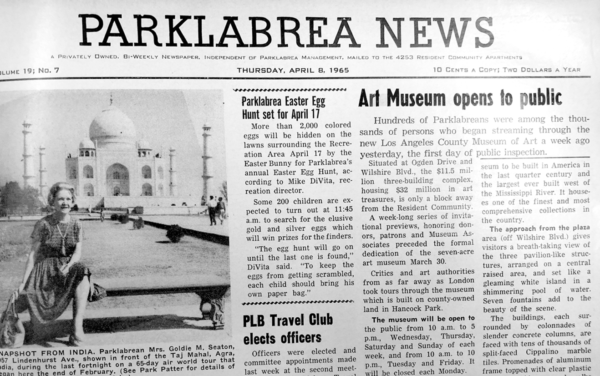 The April 8, 1965, issue of the Park Labrea News included an article on the opening of the Los Angeles County Museum of Art on Wilshire Boulevard. 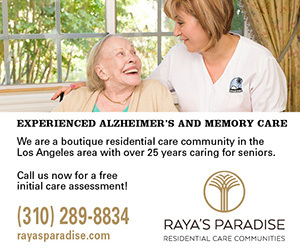 The article stated that many Park La Brea residents were among the thousands of people who visited the museum during its opening weekend. The $11.5 million complex included three buildings and housed an art collection valued at $32 million at the time. The museum had previously been located at the Natural History Museum of Los Angeles County before a new complex was created on Wilshire Boulevard. 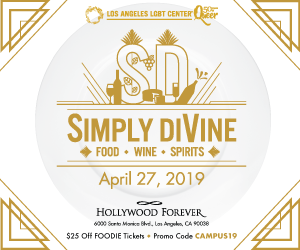 On April 9, the Los Angeles County Board of Supervisors approved plans for a new $650-million redesign of the LACMA campus that will include the demolition of four existing buildings and the creation of a singular new museum space spanning Wilshire Boulevard.